Welcome to the newest column here at The Young Folks: What We’ve Been Playing. Here we will spotlight any fun games that our writers have been sinking their teeth into. Any and all video games are fair game so you can expect see the newest releases as well as retro-gaming picks and everything in between. Our hope is that you guys find something interesting that you may have missed out on or perhaps never even heard of. Now, let’s see what our writers have been spending their time playing. I’m a very indecisive person. It’ll take me hours to decide what food I want or if I want whipped cream on my frappuccino. When I first discovered Skyrim, it took me five hours to even get a few missions done, but I was hooked. 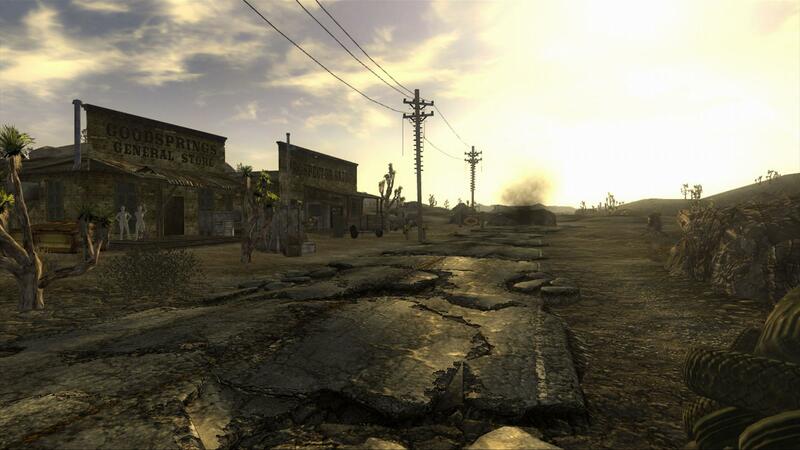 While I was playing Skyrim obsessively for 12 hours at a time, I was told about a game that was pretty much the same thing except in the post apocalyptic world. 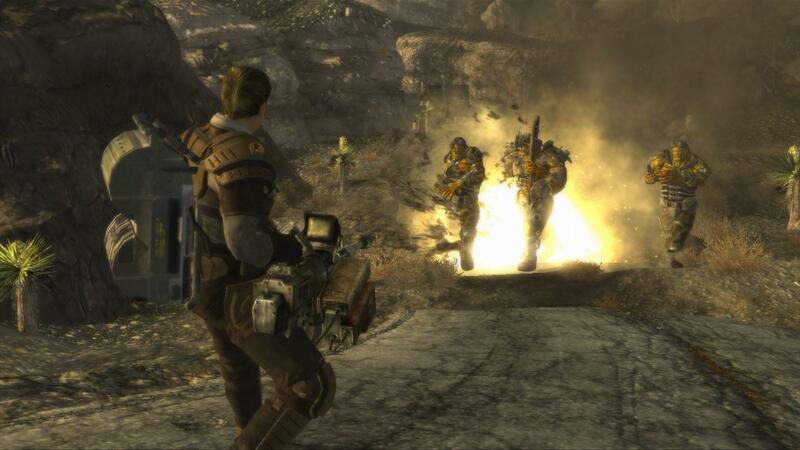 When my obsession sizzled down, a friend suggested to rekindle my obsession with Fallout: New Vegas. When I finally decided to try it out, I was in love. Just as overwhelming as Skyrim, there are countless missions to play and the ability to be good and evil, and other great ways to quickly spend 12 hours at a time playing it. Think Skyrim but except for luscious trees, there’s desert and dead tumbleweeds and everything is paid in bottle caps instead of gold. America has been nuked by rival powers and has been left obliterated leaving people to fend for themselves. There is the New California Republic, who tries to restore order and there are gangs such as The Legion, who go against the NCR. It is completely up to you which side you want to join. The decisions I have had to make have driven me crazy and the 50 save files I have made only for the first few hours show my brilliant decision making skills. But the fact that there are so many roads you can take is what makes this game so enjoyable. If I make a decision I regret, I can simply just go back and change it and end up with something completely different . Now whether I’m still content with that decision is a completely different story. 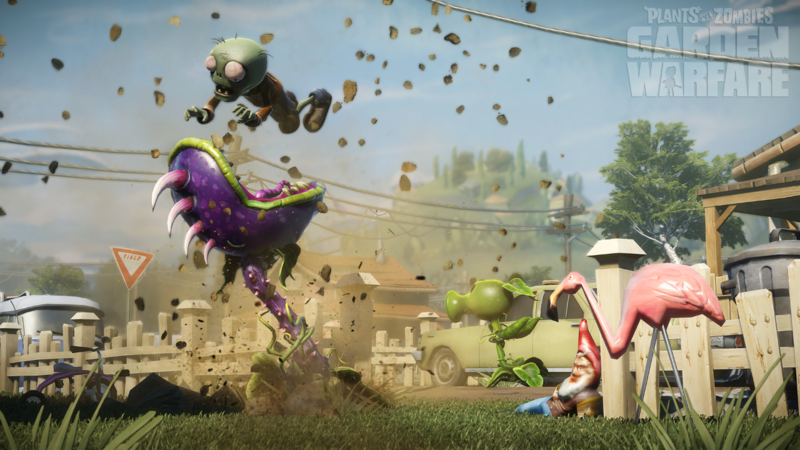 Plants vs. Zombies: Garden Warfare is a spin-off of the popular tower defense franchise that brings the Plants vs. Zombies universe into a class based third person shooter. It’s an online only multiplayer title out now for Xbox 360 and Xbox One and retails for half the price of standard console game. I’ve been having a lot of fun with this game although it definitely has some problems. The core game is solid. You play as either a plant or a zombie with 4 unique classes available to each faction. The abilities and playstyle of each class is well balance both within each faction and from one faction to another. Both sides have classes that excel at close range and a class better suited to long range fighting. 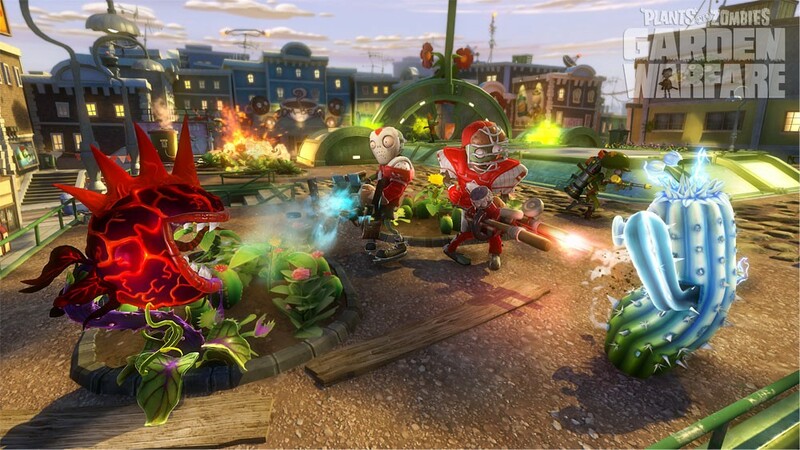 The competitive game types include the classic deathmatch and area capture modes while the cooperative mode is similar to the classic Plants vs. Zombies game and has you protecting a central garden from waves of zombies. Throw in a few special variations of the four classes that can be earned by purchasing sticker packs with coins earned after every match and there’s even a small but satisfying sense of progression and discovery. It’s too bad that some of the functions around the game are flawed. There’s no way to party up and search for a game with your friends for the competitive game types. You have to rely on the system level options to join a friend who is in an active match and even then subsequent rounds may have you on playing on opposite teams. It’s easy enough to switch teams but we’ve come so far in online multiplayer gaming that it is a little frustrating to not have an easy way to party up with your friends and jump into matches together. I also encountered a small number of bugs like starting rounds outside the map or strange lagging issues on a strong internet connection but they never impacted the gameplay negatively except for maybe one or two times. The lack of split-screen action is a disappointment as well. At the end of the day the core game and the shooting is really fun and plays well. It can be frustrating trying to get into a game with your friends but once you’re in you’re going to have a good time. It’s an easy game to recommend, especially at its price point. I can’t get enough of Deadly Premonition. 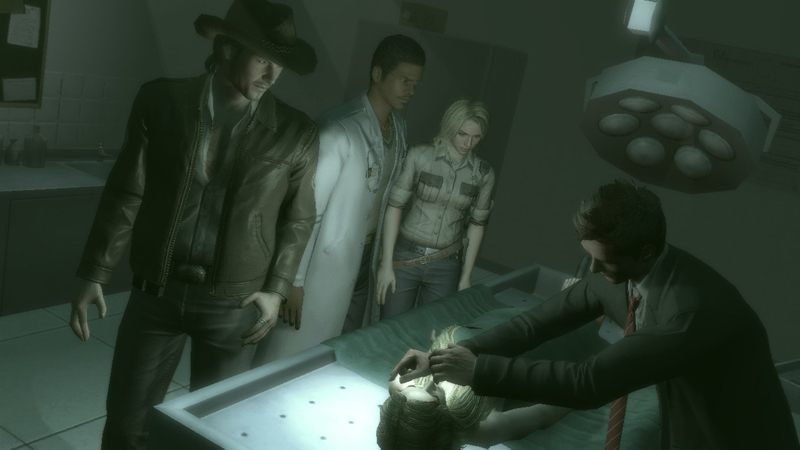 This psychological horror game with almost the exact same plot as the TV show Twin Peaks was originally released for Xbox 360 and PS3 in 2010. I’ve been playing the Steam version (released this past July) on my PC. Notorious for its awful controls, Deadly Premonition can be a pain to operate. But just as I’ve fallen for the characters and plot of Twin Peaks, I’ve also grown to love the citizens of Greenvale. Playing as FBI Special Agent Francis York Morgan, you are sent to the small, woodsy town of Greenvale to investigate the murder of a teenage girl. It’s soon apparent that there’s something awful afoot, as York comes face-to-face with a slew of undead enemies and a man known as “The Raincoat Killer.” There is also ample opportunity for free-exploration of the town, which York can traverse on foot or in police vehicles. The cast of supporting characters are always looking for someone to complete (random, sometimes silly) tasks for them. Horror and campy humor mix quite well in this game. If you can get past the frustrating controls, there’s a lot of fun to be had with Deadly Premonition. I’ve been a long-time lover of Legend of Zelda games and really, isn’t everyone? Since I was a child. 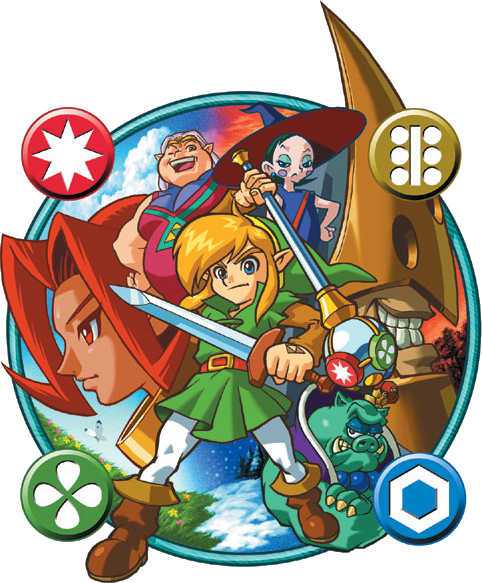 One of my first Legend of Zelda games was Oracle of Seasons. Followed quickly by Oracle of Ages. Recently I’ve been spending my spare time at night playing Seasons, with Ages soon to follow I’m sure. 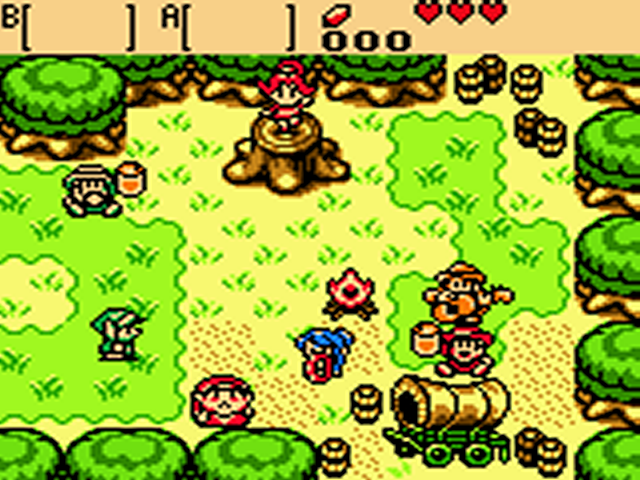 The Legend of Zelda: Oracle of Seasons was originally released for the Gameboy Color just before the system was replaced with the Gameboy Advance. Since the game was being released around a transition period for Nintendo it might have flown under a few people’s radars. The story is simple. 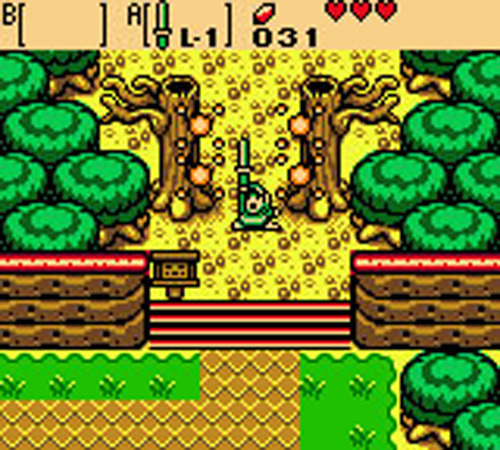 Link, our plucky, green clad, little hero, finds himself transported into Holodrum. A land just outside of the familiar Hyrule. There he meets Din the Dancer, who in actuality is Din, the Oracle of Seasons. Gifted with the powers of all four seasons Din holds the responsibility of retaining balance in the land. She is quickly captured by General Onox, who wishes to throw Holodrum into chaos. Link is tasked with rescuing the captured Din and bring balance back to Holodrum. Unfortunately the story doesn’t get much more interesting than that. You don’t meet a lot of interesting side characters either. The Maku Tree acts as the Wise Old Man character with even less personality, and Impa plays an even smaller role as Zelda’s previous Nursemaid, and Din’s assigned protector. There’s the pleasantly cranky Maple the Young Witch, and Rosa who lives in Subrosia. However the roles these characters hold is small and far to brief. What Seasons lacks in storytelling, it makes up in the game play. Oracle of Seasons is very combat oriented. The dungeons can be lengthy, but engaging. One of the games biggest upsides is multi level dungeons and creative weapons. There are also side quests galore to keep you busy if you want some dungeon downtime. The main side quests are also battle centric, and straightforward. The game tends to drag just a bit due to the lack of story. However things stay interesting when you begin to learn to play around with the seasons and see how it affects you landscape. Plus the underground world of Subrosia is a real treat. As are the mini-games, and the colorful creatures that inhabit Holodrum who aid you on your quest. The game was re-released for the Nintendo 3DS last year. If you’re feeling a little nostalgic for some old style game play Zelda style you wouldn’t go too wrong with Oracle of Seasons.